There's nothing to stop you simply flicking a switch to turn on and off your enlarger lamp and using your watch to time print exposures - but it's not very convenient. 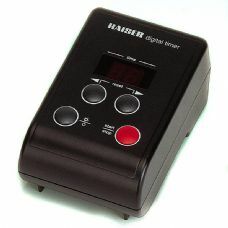 Here we have a range of timers which your enlarger will plug into and enables a time to be set and the lamp will illuminate for this pre-set time. 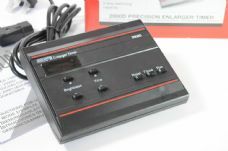 The Kaiser enlarger meter takes it a step further - readings can be taken from the projected image and it will estimate an exposure time for you.